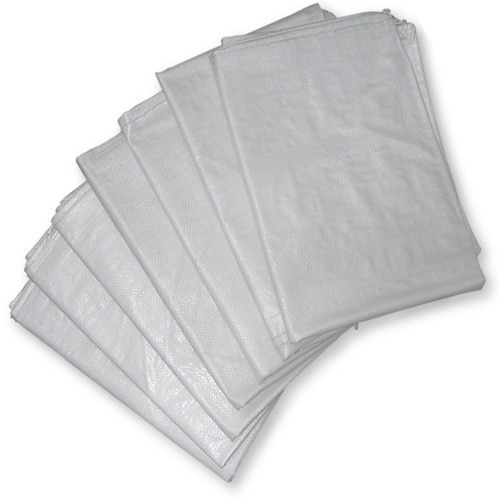 We are offering our clients a wide assortment of Polypropylene Bags which are available in various variants including the laminated one and non-laminated one. These sacks are extensively used for the packing of food, grains, fertilizers, flour, maize, chemicals etc. They are manufactured from thick and flexible plastic films and the size and pattern of these bags can be customized as per customer need. Established in the year 2002, we, "A A Packaging Solutions”, have positioned ourselves in the league of pre-eminent manufacturers, exporters and suppliers of Packaging Bags. Manufactured using excellent quality raw material, these products are widely acclaimed for their shrinkage & tear resistance, fine finish, high load bearing capacity, moisture resistance and light weight. To cope up with the variegated requirements of the customers, these bags are offered by us in various patterns, designs, styles and sizes at industry leading prices.